Rose Tea is both romantic, soothing, and a Victorian favorite. 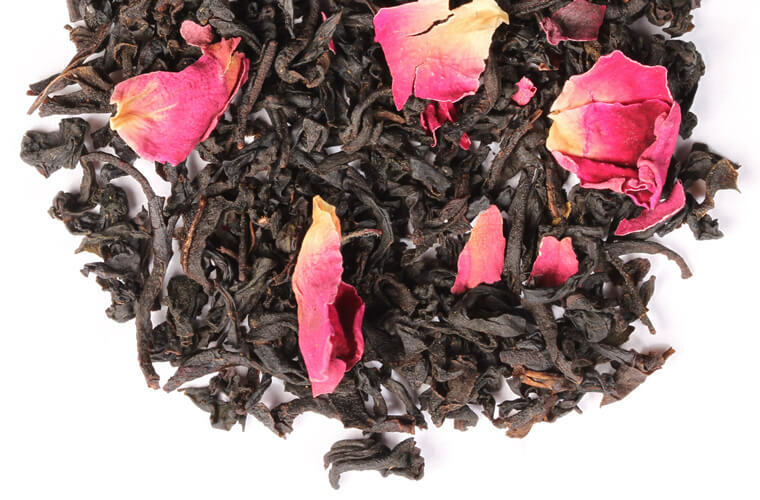 This royal tea blend has the light spice of delicate, young rose petals atop the sweet fullness of China black tea. Seen at many a traditional tea, this is best served with a fine china and delicate finger sandwiches and cakes. Give yourself some "me time" at tea time!